Built with a now-rare octorad footprint (rounded square), the stadium was opened in 1976. It utlised a popular dome technology of the time, the inflated-membrane cover. This solution, though economically favorable upon construction, proved problematic in the long run, especially in a place suffering from heavy snowfalls. 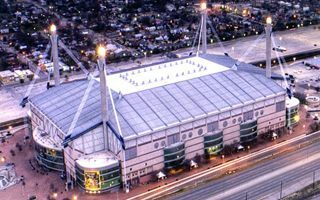 After another one in 1994 caused the roof to collapse, the structure was completely removed. 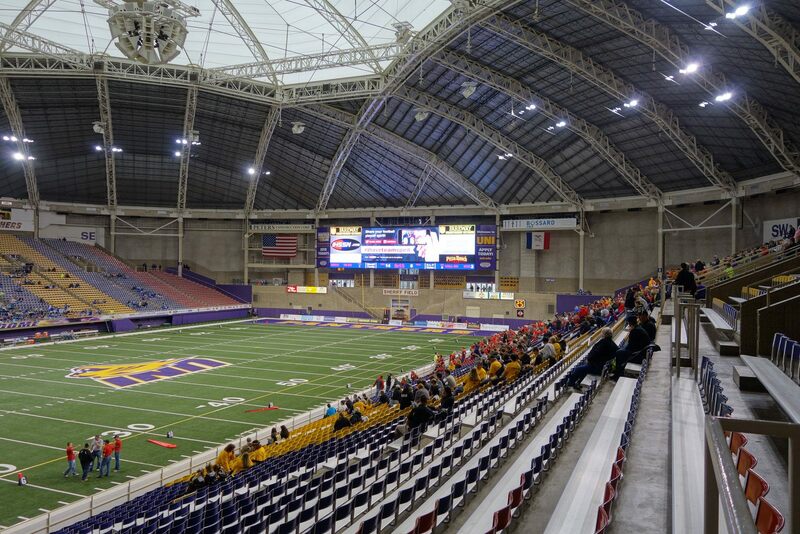 Instead, a new combination of steel trusses was placed on top of the existing stands. It assured more strength, though far less sunlight access with only the central part translucent. 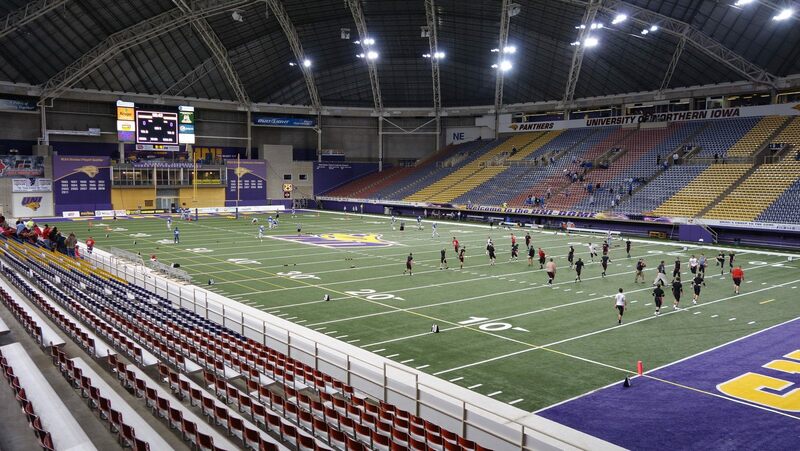 The dome’s diamond-like shape is now UNI-Dome’s most distinctive feature. 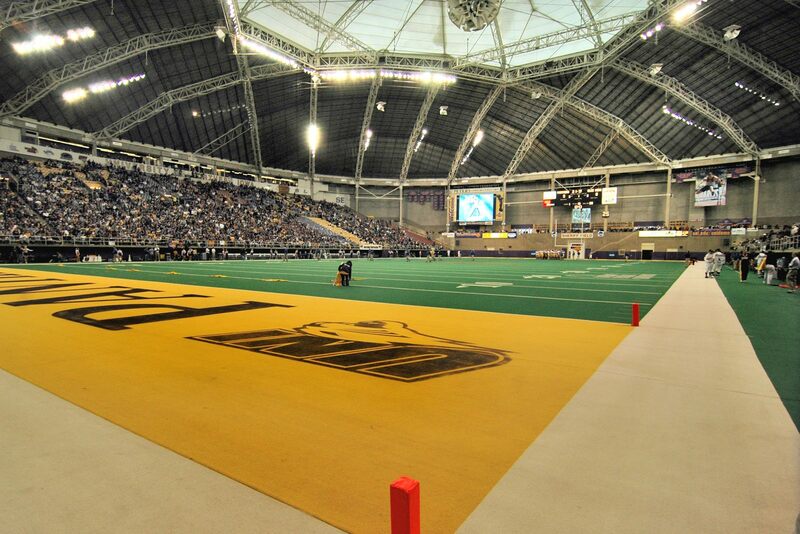 The stadium’s name is owed to University of North Iowa, on whose campus the venue was built. 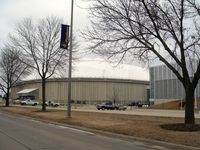 The school’s football, basketball, volleyball and wrestling sections all used the arena since 1976, but most of them relocated after 30 years to newly-built McLeod Center, just south and connected with UNI-Dome by a skywalk. 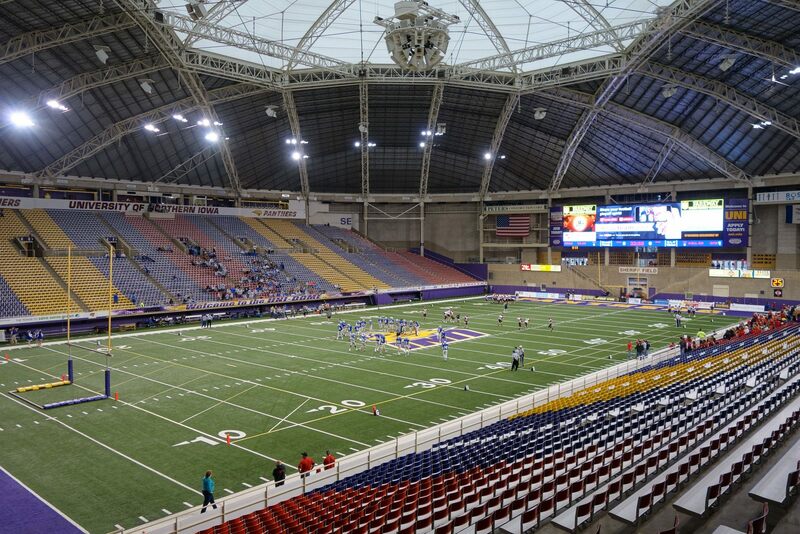 In its default layout for football, the stadium can hold 16,324 people, only along the sides. 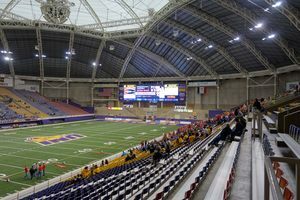 However the record football crowd is in excess of 17,000, while during key basketball games the crowd used to stand at 22,000 people.